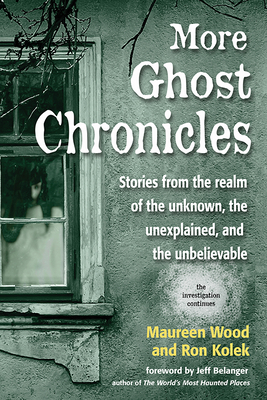 Readers will join Maureen and Ron on their investigations throughout the Northeast and beyond. Their travels take them to Portsmouth, NH where the caretaker seeks to learn more about the strange happenings at the windswept Portsmouth Harbor Lighthouse and to Georgia where they hunt for the true identity of Button Wood's spirit, General Beauregard, as well as to Daniel Lady Farm in Gettysburg, PA, widely considered one of the most haunted locations in America. This book also includes follow-ups to the investigations compiled in the original Ghost Chronicles book. Jeff Belanger is a voracious fan of the unexplained. He's been studying and writing about the supernatural for regional and national publications since 1997. Belanger is the founder of Ghostvillage.com, the Internet's largest supernatural community, which attracts hundreds of thousands of visitors per year. He's the author of: The World's Most Haunted Places: From the Secret Files of Ghostvillage.com (New Page Books 2004), and The Encyclopedia of Haunted Places (New Page Books 2005).